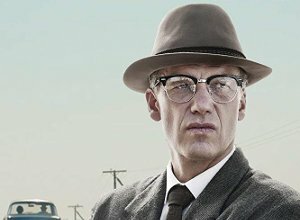 This film takes a look at the famous Rivonia Treason Trial, through the eyes of lawyer Bram Fischer. 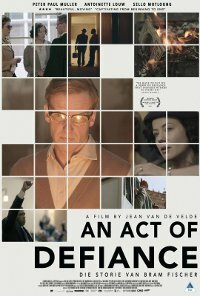 Set in 1963, the renowned lawyer struggles to hide his secret affiliation to the ANC, as he takes on defending a group of its arrested members, including its leader, Nelson Mandela. In English, Afrikaans and Zulu, with English subtitles where needed. Parental Guidance 10-12 (Violence, Prejudice, Drug abuse). No man is properly dressed without a hat. Violence The material contains fairly frequent, mild to moderate impact violence, justified by the context of the storyline. The violence has a psychological impact. Prejudice The material contains frequent scenes or language of racial prejudice of a low impact that is necessary to tell the story of the history of the South African apartheid government.